Our Project Management team has managed the construction and development of more than 8 million square feet of commercial and residential space. Our experienced staff and attention to detail ensure successful projects for every client. As Project Managers, we help define the scope of work and budget from the start so we can manage expectations on every project. We take the burden of the construction process away from our clients so they can focus on their operations and core business. Our strong background in leasing and property management allows us to focus on creating spaces that work for our clients. We understand the vital importance of quality control. 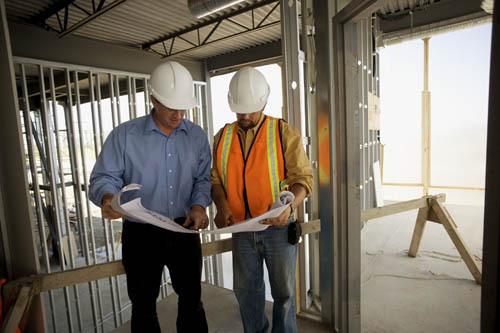 Our project managers and construction experts are detail oriented, managing budgets and schedules and providing careful oversight of the entire project. From original test fit through punchlist and move-in, J Street will guide you through the process. The process starts with the establishment of project goals normally focused around an overall project budget and schedule. Choosing and leading the right Project Team from the architect to the audio visual consultant is essential to meeting project objectives. Our clients tell us that it is our strong management skills and construction expertise that really make the difference -- taking a daunting task and making it efficient, on-time and on-budget. To contact us for more information on our Project and Construction Management services, please click here.